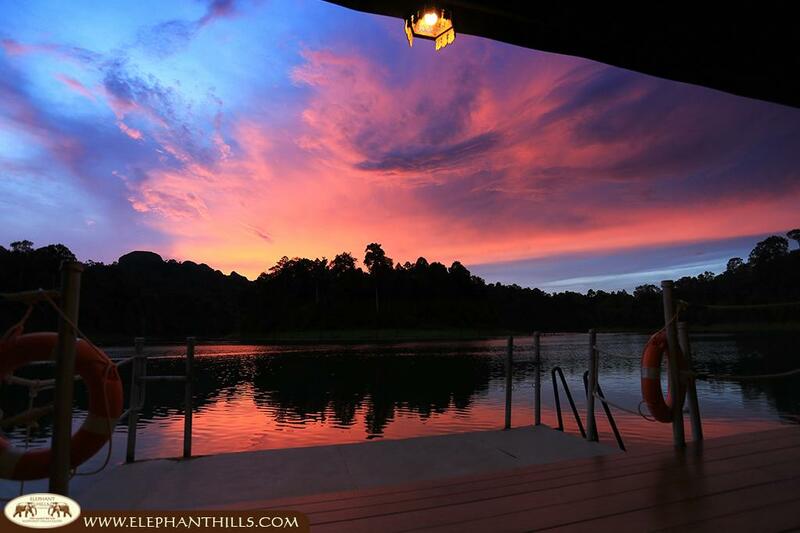 Opened in January 2011, Elephant Hills Rainforest Camp is the little sister of The Elephant Camp and is situated in the heart of Thailand’s most spectacular artificial lake, the Cheow Lan Lake in Khao Sok National Park. 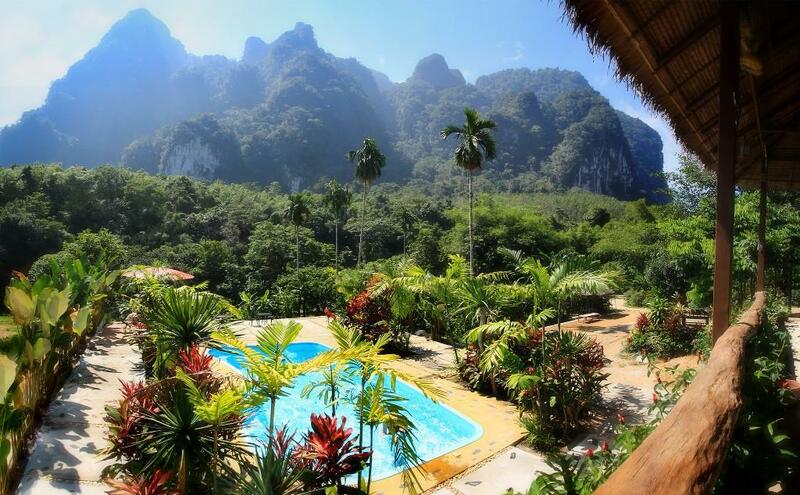 While traveling from The Elephant Camp to Rainforest Camp you get the chance gain an authentic view into the lives of local people on the borders of Khao Sok National Park. Stroll over the market of Ta Khun together with a professional, TAT-licensed Thai tour guide, learn more about local extraordinary products, try exotic treats and fruits, take photos of the Ratchapraba Dam and enjoy the view of Cheow Lan Lake while heading to the pier. After about a one-hour’s drive you arrive at the pier, from where the journey continues by long-tail boat. Unique and breathtaking scenery of rainforest and towering Limestone Mountains unfolds along the cruise and promises amazing pictures for your photo album. 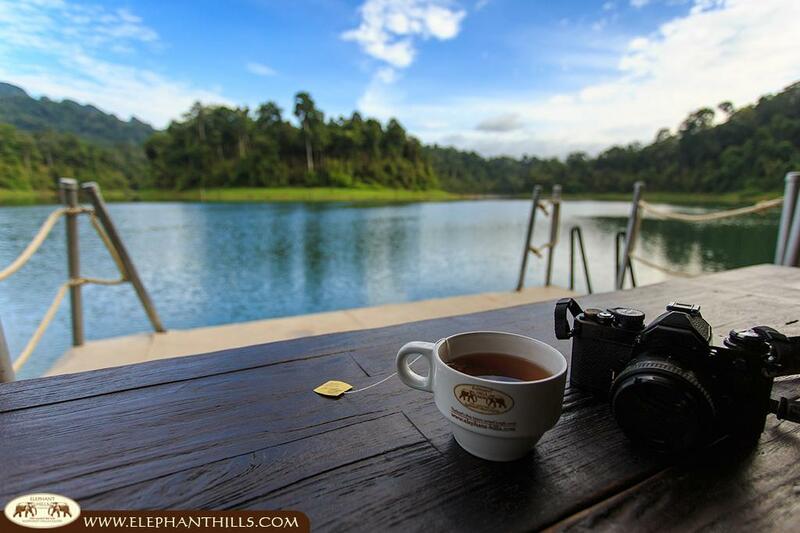 This has to be the most unique and mattering way to experience the true bloom of Southern Thailand’s nature. 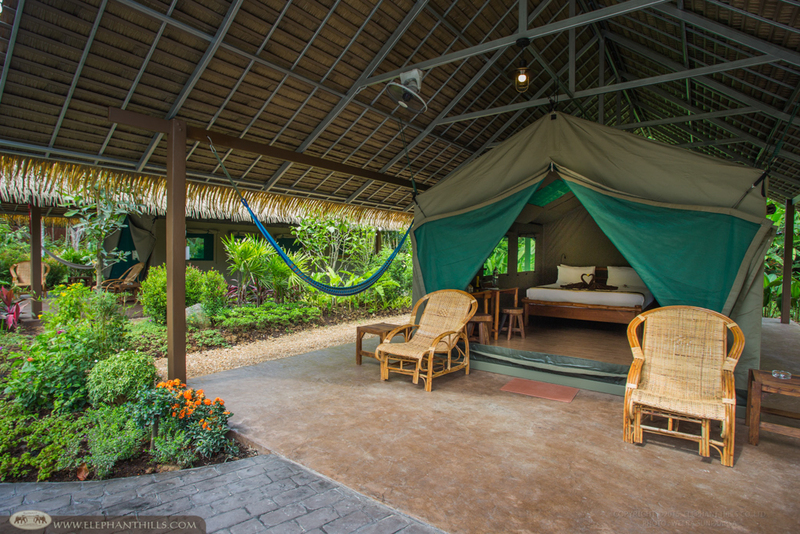 After being welcomed with a fresh mocktail at Rainforest Camp you will have the opportunity to relax in front of your own luxurious tailor-made tent. Now it is up to you if you prefer to relax and simply take in the marvelous atmosphere, join the jungle trek up to a hidden cave full of stunning stalagmite and stalactites, or take your private kayak to explore nature and wildlife in the channels of the lake. 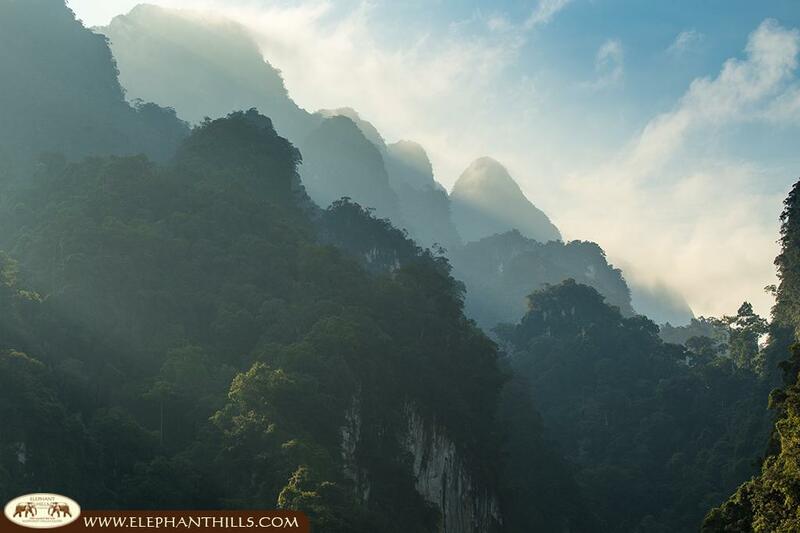 Khao Sok National Park is home to many different endangered animal species like wild elephants, hornbills, gaurs, various monkey species, a myriad of reptiles, amphibians and a rich variety plant species. If you want to become one with nature, the floating Rainforest Camp is an absolute must – book your personal rainforest getaway now! 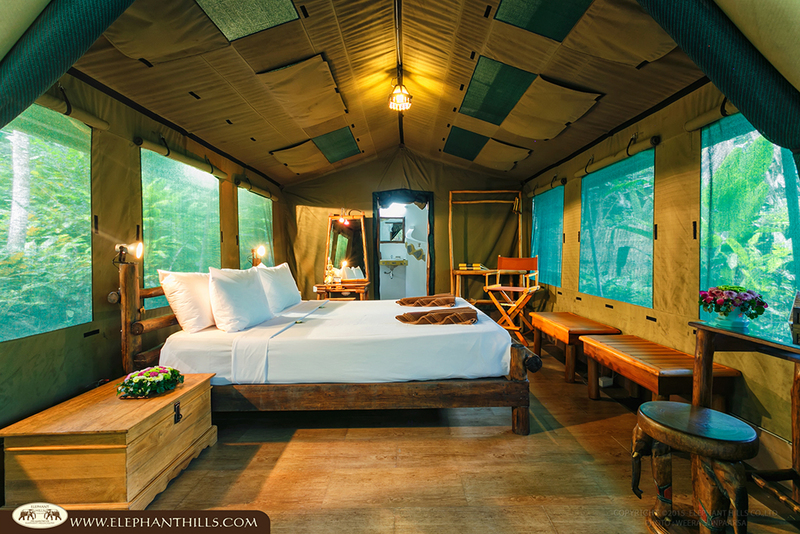 20 Luxury Safari Tents, directly placed on the emerald green waters of Cheow Larn Lake, provide an intimate base for you to explore Southern Thailand’s tropical rainforest. 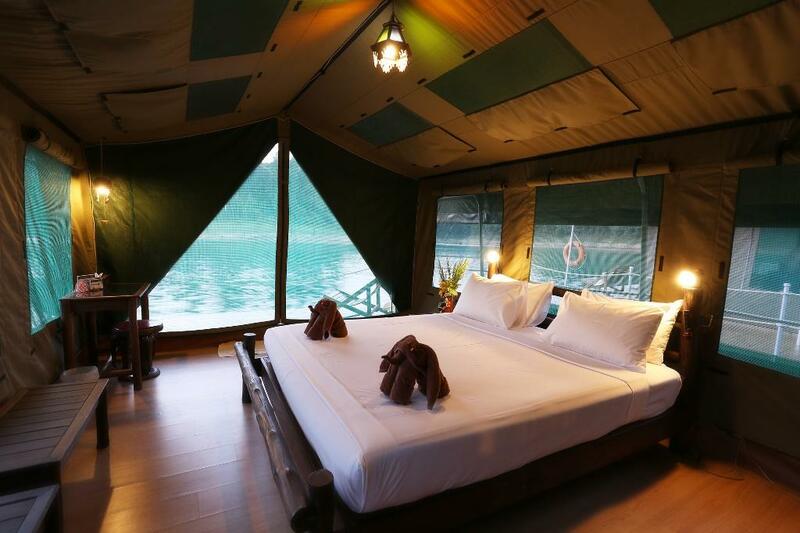 Fully furnished, even with an en-suite bathroom, Rainforest Camp is the perfect place to explore the lake and its sensational surroundings. All tailor-made luxury tents feature comfortable and solid double beds or two twin beds, a coat-rack, a private bathroom with a Western-style toilet, hot and cold water shower, a safe to lock personal belongings as well as lots of small details that guarantee the comfort you desire. 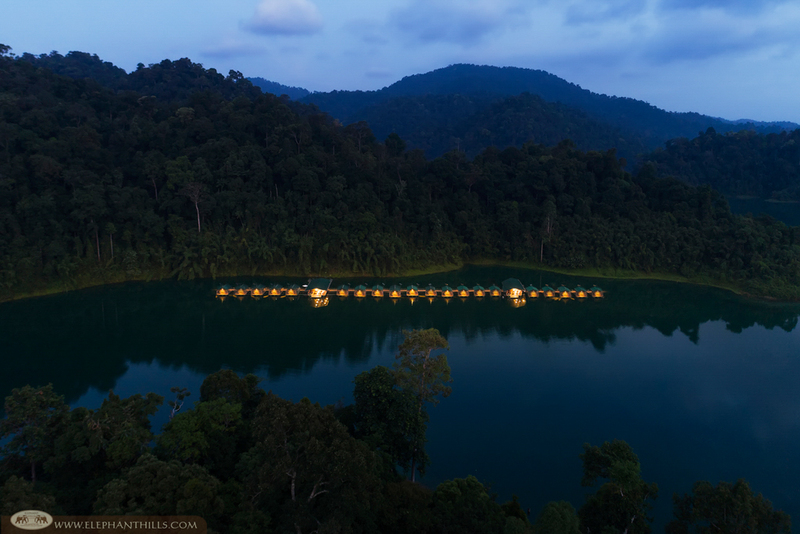 To protect nature, Rainforest Camp is designed in a highly responsible and sustainable way by using solar and wind energy and running a unique waste management system. It is all thought through, so you can fully relax and be one with nature. 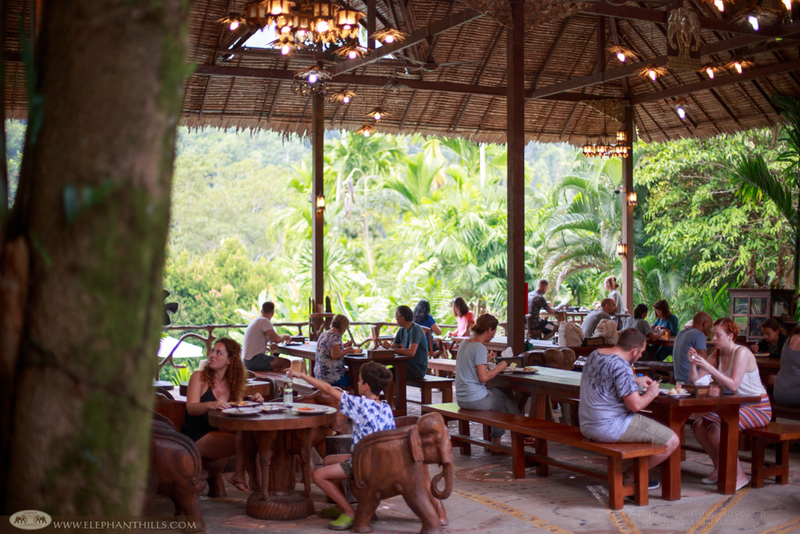 Rainforest Camp consists of two floating semi-open-air restaurants with a bar, coffee and tea station, and a dining area. 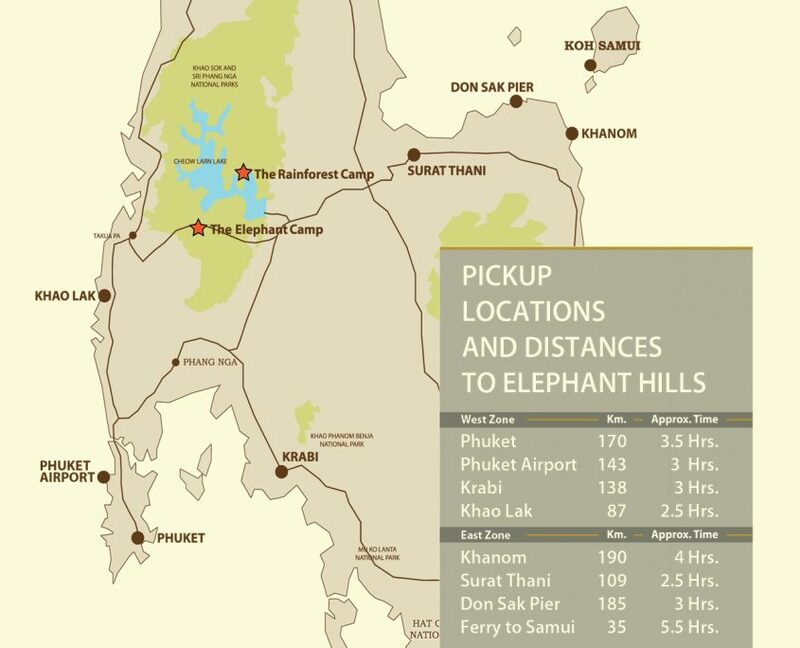 Maps, info boards as well as books are available to satisfy your thirst for knowledge about Khao Sok National Park, the history of the lake and the wildlife that inhabits the world’s oldest rainforest. In front of each tent you will find your own kayak, so that you are able to explore the surroundings at any time – for example to watch the sunrise or sunset while paddling on the lake. 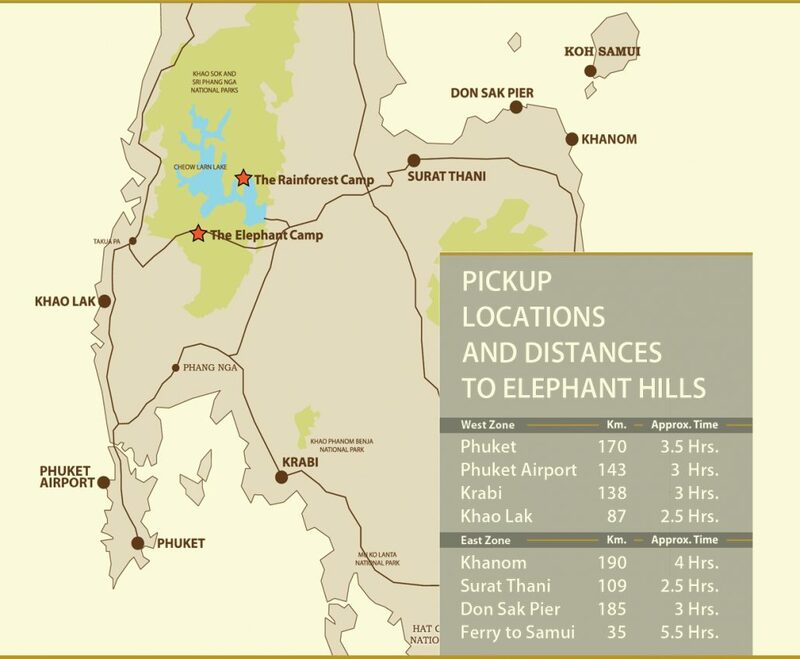 Important notice: Please note that all our tours start with our amazing and unique Elephant Experience and an overnight stay at The Elephant Camp. 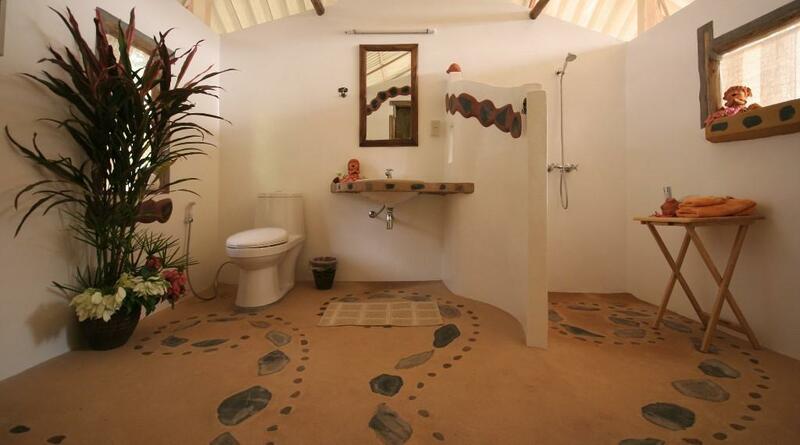 Hence it is not possible to book accommodation at Rainforest Camp only. 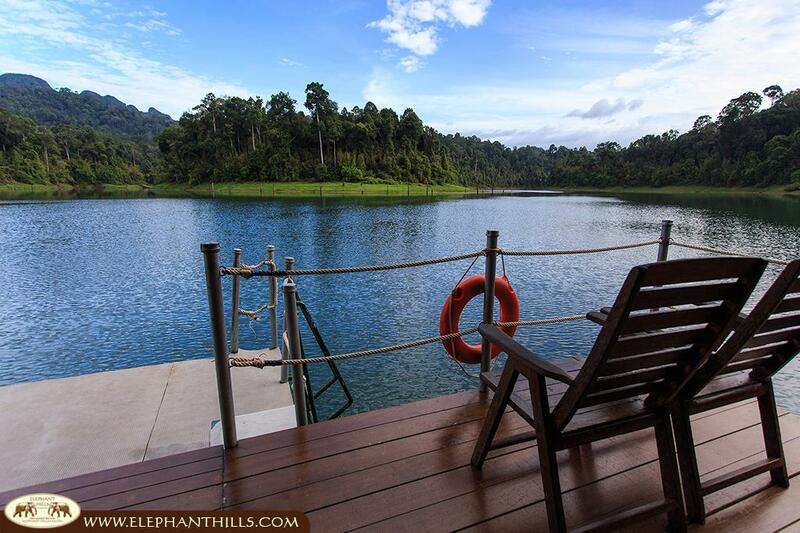 Overnight stays at the Rainforest Camp are included in our Jungle Lake Safari package.